3 users thanked Yami for this useful post. I agree with all this. 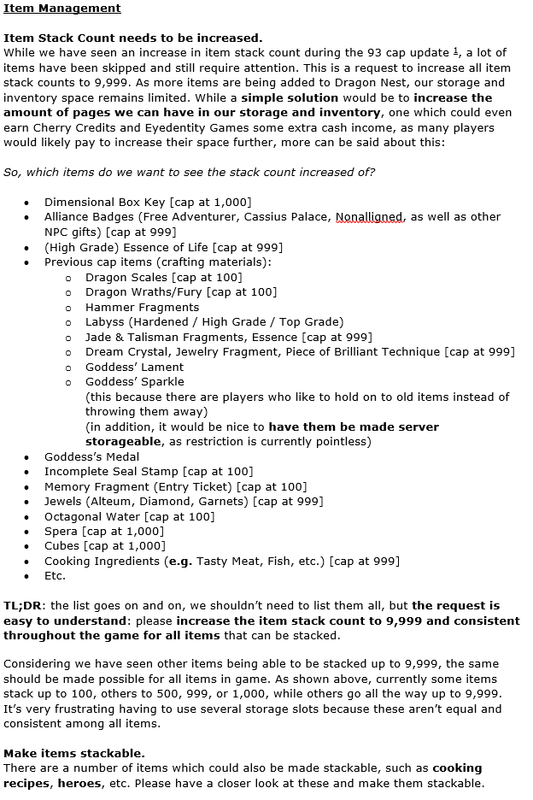 Though stacking cash items might be problematic because there are tradeable and non-tradeable versions of the same item (e.g. Jellies that are bought from the Trading House are not tradeable). 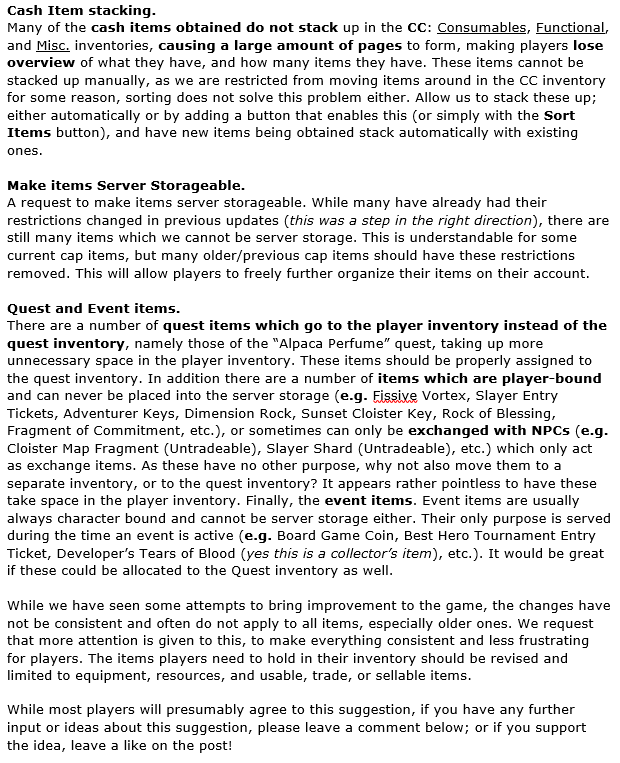 A simple solution to this would be to have seperate stacks of tradeable and non-tradeable (identical) items. 2 users thanked -Geiravor for this useful post. 1 user thanked imad20010 for this useful post.